Kuć / Ko’C’ i Kuta / Ko’Ta, itd. Jeszcze jakieś pytania, co do wiarygodności twierdzenia o jakoś, kiedyś średniowiecznych tzw. palatelizacjach słowiańskich, hm? O słowach, jak np. Kuliście / Ko’L+iS’+Cie, Koliście / KoL+iS’+Cie, Koliste / KoL+iS+Te, Koło / KoL”o, Kolec / KoL+eC, Kolić / KoL+iC’,.. ale także i Okalać / o+KaL+aC’, Kolić / KoL+iC’, Golić / GoL+iC’, Solić / SoL+iC’, Źlić / Z’L+iC’, Dzielić / DzieL+iC’, Działać / DziaL”+aC’, Chylić / (c)HyL+iC’, itp, muszę napisać oddzielny wpis. Czy to nie dziwne, że np. takie Pra-Słowiańskie Koło / KoL”o, Kółko / Ko’L”+Ko, itp, są CIĄGLE UBEZDŹWIĘCZNIONE, jak np. i tzw. greckie Kuklos / Ko’KLo+S,.. hm? A może… Koło / KoL”o, Kółko / Ko’L”+Ko, itp to tylko kolejne rzekome tzw. od-irańskie / od-sarmacko-scytyjsko-osetyjsko-hukwiejakie zapożyczenia? A co,.. to, to akurat nie? A dlaczego, hm? From Proto-Indo-Aryan *śráwas, from Proto-Indo-Iranian *ĉráwas, from Proto-Indo-European *ḱléwos (“fame”). Cognate with Avestan 𐬯𐬭𐬀𐬎𐬎𐬀‎‎ (srauua‎, “word”), Ancient Greek κλέος (kléos), Russian сло́во (slóvo). Dlaczego CIĄGLE Pra-Słowiańskie Koło / KoL”o, Kółko / Ko’L”+Ko, brzmią jak to tak prastare pra-greckie Kuklos / Ko’KLo+S? Co jest nie tak, jak ofitzjalnie „powinno” niby być, hm? 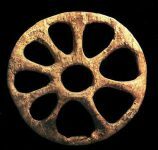 From Proto-Indo-European *kʷékʷlos (“circle, wheel”). Cognate with Mycenaean Greek 𐀓𐀐𐀩𐀄 (ku-ke-re-u). From Proto-Iranian *čaxrám, from Proto-Indo-Iranian *čakrám (compare Sanskrit चक्र (cakrá)), from Proto-Indo-European *kʷékʷlos (“wheel, circle”). Twierdzę, że w przypadku Kuć / Ko’C‚ jest dokładnie tak samo, jak ze słowami Koło / KoL”o, Kółko / Ko’L”+Ko, itp. (1.1) Kowal kuje nam stylowe kraty do okien. (1.2) Robotnik kuje dziurę w ścianie. (1.3) Dziś u kowala kujemy naszą szkapę. (1.4) Jacek kuje przed jutrzejszą klasówką. (2.1) Dawniej, gdy kupowano węgiel, zamawiano kucia z wozem. ↑ Skocz do:1,0 1,1 1,2 1,3 1,4 1,5 1,6 1,7 1,8 1,9 Słownik języka polskiego, red. Jan Karłowicz, Adam Kryński, Władysław Niedźwiedzki, t. 2, s. 619–620, Warszawa 1900–1927. From Proto-Slavic *kuti (“to forge”), from Proto-Balto-Slavic *kouʔ-, from Proto-Indo-European *kowh₂- (“to beat”). Cognate with Czech kout, Bulgarian кова́ (ková), Russian кова́ть (kovátʹ), Lithuanian káuti (“to smite”), kovà (“fight”), Latin cūdere and Old High German houwan. 1 or: będę kuć, będziesz kuć etc. Wiktionary does not yet have a reconstruction page for Proto-Indo-European/kowh₂-. (1.1) Kowal miał mi dziś wykuć podkowy dla konia. Skocz do góry↑ Hasło Pyrrhocoris apterus w: Wikispecies – otwarty, wolny katalog gatunków, Wikimedia. (1.1) Kowal cisnął młot na kowadło. Skocz do góry↑ Stanisław Szober, Gramatyka języka polskiego, PWN, Warszawa 1968, s. 126. From Old Polish kować + -dło. From Proto-Balto-Slavic *kauˀ-, from Proto-Indo-European *kowh₂-, from the root *kewh₂-. Cognate with Lithuanian káuti (“to hew, to beat, to murder”), Latvian kaût (“to fight”), Latin cūdere (“to forge, to beat, to grind”), Old Norse hǫggva (“to hew, to beat”), Old High German houwan (“to hew, to beat”), Old Irish cuad (“to beat, to fight”). From Proto-Balto-Slavic *kauˀ-, from Proto-Indo-European *kowh₂-, from the root *kewh₂-. No tak… Co ja tam wiem, bo przecież to „prawo” „działa” „tylko” w językach indo-irańskich, które z j. słowiańskimi nic, a le to nic nie majom wspólnego… Taa…. Czy to nie przypomina komuś czegoś, hm? Jeśli nie, no to podpowiadam, żeby wrócić do początku, bo tam już o tym było wspomniane. (1.1) Koń powinien mieć cztery podkowy. Wysłany 2018-10-13 by SKRiBHa	• Ten wpis został opublikowany w kategorii Je"ZyKo+ZNa+WSTWo, Z'+RoD+L"o+SL"oW i oznaczony tagami *ḱléwos, *kauˀ-, *kewh₂-, *kʷékʷlos, *kovàti, *kowh₂-, *kuti, *ĉráwas, *čakrám, *čaxrám, allo-allo, alternacja, Ancient Greek, Avestan, C/T>D, cakra, caxra, Chęć, depalatalization, depalatelizacja, Drag, First Germanic Sound Shift, German, Germanic, Grimm's Law, Hellenic, j. czeski, j. niemiecki, j. Pra-Germański, j. Pra-Słowiański, j. słowacki, Je"ZyKo+ZNa+WSTWo, języki germańskie, k'/K', kółko, kentumizacja, kléos, Knocić, Knuć, KoL"o, kovář, kowadło, kowal, kować, ku-ke-re-u, Kucie, Kuklos, Kuta, Kuć, kęs, Latin, miękkie k', сло́во, oboczność, oboczność rdzenia, oboczność rdzenia słowa, oboczność rdzenia wyrazu, oboczność tematu, odtfoszenia, ofitzjalne jęsykosnafztfo, Old High German, palatalizacje słowiańskie, PIE, PIE e/o>a PII, PIE=PS, pierwsza niemiecka przesuwka spółgłoskowa, podkowa, ponowne powtórzenie, Pra-Słowiańszczyzna, prawo Brugmanna, Prawo Grimma, prawo Vernera, Proto-Balto-Slavic, Proto-Germanic, Proto-Hellenic, Proto-Indo-Aryan, Proto-Indo-European, Proto-Indo-Iranian, Proto-Iranian, Proto-Slavic, przeciw-słowiańska manipulacja, przeciw-słowiańskie krętactwa, przeciw-słowiańskie kłamstwa, przemilczenia przeciw-słowiańskie, PS, Rask's rule, reduplikacja, reguła Raska, rough breathing, Russian, S"C"yT, Sanskrit, Serbo-Croatian, SL"oWo, Slavic progressive palatalization, slóvo, Slovak, Slovene, srauua‎, SRaWaS, słowiańskie językoznawstwo, Słowiańszczyzna, tzw. rough breathing, utrata zmiękczenia, Verner's law, Z'+RoD+L"o+SL"oW. Dodaj zakładkę do bezpośredniego odnośnika. Was ‘Scythian’ an ‘Iranian’ language? Most people take it for granted that all ‘Scythians’ were Iranian-speakers but few are aware of the quality of the evidence on which this theory is based. There are no direct records or inscriptions in ‘Scythian’ and only a few words and names reached us in the accounts of early Greek historians (Herodotus, Strabo and others). The first extensive attempt to ‘reconstruct’ the ‘Scythian language’ was done in Vasmer (1923) but the largest vocabulary, numbering 247 ‘bases’ or radicals (approx. 200 considering duplicates), was given in Abaev (1949). It should be noted that etymologies built on proper names, toponymic and tribal names and appellations are most unreliable and controversial. Almost every such etymology is contested. Etymologies of the names ‘rus’, ‘slav’, ‘wend’ are good examples. Although the preconditions for our endeavour have been done in works of our predecessors, yet we meet with difficulties. The transfer of the Scythian names with the Greek (or Latin) letters was, by force, very imperfect: too great was the difference in the phonetic systems. It is easy to imagine that there were frequent cases of distortion, misprints and errors. To restore, in these circumstances, the true face of the sounding of Scythian is not easy. A very fair admission, indeed! But if it is difficult to reproduce the real shape of Scythian words, the situation is even more difficult with their meaning. Our sources usually do not give us a hint about the meanings of Scythian words or names. These meanings must be established by the comparative way, based on the data of the Iranian and Indo-European linguistics. Another frank admission, especially if we consider that at the time this text was written the “Yaphetic theory” of Nicholas Marr, which rejected the traditional methods of “historical reconstruction”, was still very much alive. In fact, one will not find any reference to reconstructed IE *forms in Abaev’s vocabulary. Instead, there are numerous references to Marr in the book. The main instances to which we can appeal, are, on the one hand, the ancient Iranian languages (Avestan and ancient Persian), on the other the Ossetic language, as the direct successor of SCYTHIAN. Note that there is not a shred of doubt in Abaev’s mind that the Ossetian language is “the direct successor of SCYTHIAN”. Before Abaev even approached to the dictionary, he took it for granted that ‘Scythian’ was an Iranian language, therefore, the “SCYTHIAN vocabulary elements” which are “scattered in proper names, toponymic and tribal names” should only be viewed exclusively through Avestan, ancient Persian and, of course, Ossetic. This attitude is not surprising because Abaev was Ossetian and the Scythian origin of Ossetian was his idée fixe. We had to contemplate more than once: what forms to show in our ‘dictionary’ as the cardinal ones? The sources from which we draw our material cover a vast period of about 1000 years. Of course, during this time the language was changing. A very reasonable question. It is difficult to imagine that the Scythians, which was for the Greek a generic name applied to any ‘barbaric’ (in their opinion) people living north of their confines, had remained a single ethnos speaking a uniform ‘Scythian’ language over the vast territory for a thousand of years. We often meet the same base-form at different stages of phonetic evolution. What form shall we put as the base-form in our dictionary? This is another reasonable question. To answer it one has to establish first what were the ‘different stages of phonetic evolution’, what phonetic changes happened at different ‘stages’ and why. We have found it most appropriate to propose as the original forms normalised ancient Iranian ones taking into consideration also the peculiarities of the SCYTHIAN group. There are several questions I would like to ask at this point. What were the criteria to decide what was the ‘most appropriate’? What are the ‘normalised ancient Iranian forms’? How do we know about ‘peculiarities’ of the ‘SCYTHIAN group’ even before approaching to the analysis? Finally, what exactly is the ‘SCYTHIAN group’? In other words, we are putting forms that we believe, would coincide with the ancient Scythian ones if the latter existed. What a bold admission! In my view, this phrase should be placed as a sort of a disclaimer: ‘Please be warned that this dictionary is wholly based on our subjective opinion’. In cases where there was not enough data for reconstructing ancient Iranian forms, we put the most archaic of the known attested forms. It becomes clear by now that by ‘ancient Iranian forms’ Abaev, probably, meant a precursor of Gathic Avestan, otherwise, why reconstruct them? Therefore, he de-facto presupposed that ‘Scythian’ derived from an ‘Iranian’ language older than Avestan which, would be the ‘pra-Indo-Iranian’. This admission needs to be analysed in the context of the current theory. There are conflicting views on this. I, for one, have my own opinion, but let us stick to what is called ‘the mainstream theory’ according to which the eastward migration of pra-Indo-Aryans most probably originated in the Pit-grave culture on the northern shore of the Black Sea, supposedly, at the end of the 3rd and the beginning of the 2nd millennia BC (Mallory 1989, Kuz’mina 2007). We include in our lexicon also the Scythian names which were witnessed outside the Scythia – Thrace, Iberia, etc., as long as they have luminous (lit. “яркие” [bright]) signs of their Scythian origin. We do not know anything about the Scythian language so how can we see its “luminous (lit. “яркие” [bright])” signs? Following this logic any appellation or name found in ancient texts relating to a vast territory spanning from the Altai to Iberia should be included here as long as it appeared ‘Scythian’ enough to Abaev. In our interpretations of Scythian names and appellations, we are partly contiguous with our predecessors, partly give new ones. In the first case, we refer to the comprehensive paper by M. Vasmer Die Iranier in Südrussland (1923), in which whoever is interested can find further bibliographical details. We avoided strained and dubious affiliations and interpretations, and ventured to do the analysis only when we felt solid ground under the feet. In plain words: ‘we selected only what corresponded to our views’. Yet in some cases, marked with a question mark, we assume the possibility of other interpretation than ours. – Sagaris (Ovidius), Saggarius (Plinius) ‘river Berezan’ lit. ‘where they find (аg) deer (sag)’. Perhaps there are people who would accept this but for me this sort of reasoning amounts to sheer speculation. We usually take Ossetic parallels from the Digor dialects as the Digor mountain forms are generally more archaic, and, therefore, closer to Scythian. Ossetic is a generally accepted as an Iranian language although it can hardly be considered a true genetic continuator of ‘Iranian’ having become an agglutinative language with a phonetic system closely resembling Caucasian languages and only a limited inherited IE lexicon. Genetically, Ossetians are also similar to their Caucasian neighbours with only traces of the male M17 (R1a1) haplo-group which is typical for the Scythians: “Y-haplogroup data indicate that North Ossetians are more similar to other North Caucasian groups, and South Ossetians are more similar to other South Caucasian groups, than to each other” (Nasidze et. al. 2004). The only link connecting Ossetians with Iranians can be found in their maternal mtDNA: “with respect to mtDNA, Ossetians are significantly more similar to Iranian groups than to Caucasian groups” (idem). Therefore, by their genetic profile Ossetians are a typical mixed people and their Iranian affiliation can only be established from the maternal side. This is confirmed by the clearly mixed character of the Ossetic language. ardar ‘master, ruler, knjaz’; Oss. ældar, ærdar id. From ærm–dar(←armadāra) ‘hand-keeper’, ‘Handhaber’; from Alanian adopted into Hungarian (aladar) and Mongolian (aldar): […]. Let us now move to the dictionary which Abaev entitled as ‘Dictionary of Scythian bases’. The full text of the dictionary can be found here. Since the dictionary is in Russian I translated some parts taken randomly. In my opinion they may give an understanding of the kind of argumentation used by Abaev. (Capital letters in parentheses mean location: G – Gorgippia, O – Olvia, P – Panticapeai, T – Tanaida). – Ουαρζβάλακος (О) = Old. Osset. warz-bal ‘one who loves the team’ or ‘loved by the team’; see vārz ‘to love’ (ср. Miller “Эпиграфические следы…”, ЖМНП, 1886, окт., стр. 254). – Sangibamis ‘Alanian tzar of the V century in Gallia (Jordan) = čаn-gi-ban, Osset. 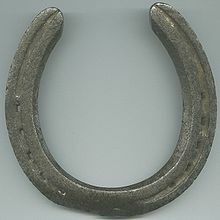 congi-bon “possessing power” (bon) in hand (соngi)”; see. čang ‘hand’. – ΄Αξεινος in the name of the Black Sea Πόντος ΄Αξεινος (Pindar,. Ευριπιδ, Strabon) ‘blue Pont’, has later been rethought as Πόντος Ευξεινος ‘hospitable Pont’, this witty explanation belongs to Vasmer. – Χαράξηνος (O) = xar-axšen ‘dark-grey donkey’ (Old. Iranian хаra, Oss.хœrœg ‘donkey’); this name might not contain anything humiliating; cp. Pers., gūr‘wild donkey’ as an epithet adorning a king (Bahrām-Gūr); such names were also given for magic purposes so as to render a child unattractive for bad spirits; for example the Ossetic name Kuʒœg from kuʒ ‘dog’ is of such origin. – Νάβαζος (Т) = Old. Iran. nav-āza– ‘steersman’, ‘one who steers a ship’; see.nav ‘ship’ (Vasmer, 45). – Βάδαγος (О) = Oss. ‘one who sits’ (used as a proper name to this day); here also belongs Βαδάκης (О) (Vasmer, 35). – Βάγης (G), reduced form of some name, containing baga, for example Bagadata ‘god-given’ etc., (Vasmer, 35); here also probably belongs Βάγιος (G). It is well known that “Historical linguistics often resorts to generalizations based on limited evidence, making statements that are far from obvious and often subject to discussion and various interpretations.” (Wencel 2011). The study by Abaev, in my opinion, is a typical case of such ‘generalization based on limited evidence’. The very Term “Scythian” has been correctly defined by Adrienne Mayor et al. as: ““Scythian,” a ﬂuid term even in antiquity, does not describe a single ethnic group but is a conventional collective term for the extensive network of loosely connected, culturally similar peoples of the vast territory of “Scythia,” which stretched from the Black Sea and Caucasus region to Central Asia. There is no doubt that some Iranian tribes and elements were present in the Circum-Pontic area in the last centuries B.C. and first centuries A.D. but it would be very short-sighted to call the whole multitude of peoples populating the vast area from the Altai mountains to the Baltic Sea, whom the Greeks routinely named ‘Scythians’, as ‘Iranians’ and even more so to view them exclusively through the Ossetic language. Абаев, В. И. (1949), Осетинский язык и фольклор, Ленинград: из-во Акад. Наук СССР. Трубачев, О. Н. (2003), Этногенез и культура древнейших славян: Лингвистические исследования, Москва: Наука. Kuz’mina, E. E. (2007), The origin of the Indo-Iranians, Leiden, The Netherlands; Boston: Brill. Mallory, J. P. (1989), In Search of the Indo-Europeans, London: Thames and Hudson Ltd.
A. Mayor. J. Colarusso, and D. Saunders (2014), “Making Sense of Nonsense Inscriptions Associated with Amazons and Scythians on Athenian Vases”, Hesperia 83.3. Nasidze, I., Quinque, D. Dupanloup, I. Rychkov, S. Naumova, O. Zhukova, & O. Stoneking, M. (2004), “Genetic evidence concerning the origins of south and north Ossetians”, Annals of Human Genetics 68.588–599. Vasmer, M. (1923), Untersuchungen über die ältesten Wohnsitze der Slaven, Leipzig, chapter “Die Iraner in Südrussland”. Wencel, Maciej (2011) “Making archaeology speak – archaeology and linguistics“.ANTHROJOURNAL – The Collegiate Journal of Anthropology, 1, October 2011. The topic of Iranian loans into Slavonic has become a common place in Slavistics reflecting, to a considerable extent, the stereotype view on Slavonic mainly as a target language for borrowing. In reality, the number of truly attested Iranian loans is confined to a rather short list of words. Strictly speaking, the term ‘iranism (иранизм)’, widely used in Russian linguistic literature, stands for a direct borrowing from one of the attested Iranian languages. However, according to the academician of the Russian Academy of Sciences Oleg Nikolajevič Trubačev, such loans are limited to a few cultural terms such as *kotъ ‘stall, small cattle shed’, *čьrtogъ ‘inner part of a house’, *gun’a ‘shabby clothes, rags’, *kordъ ‘short sward’, *toporъ ‘axe’ etc., plus a separately standing group of religious terms and names of gods. However, even if any of these words are indeed borrowings they may not necessarily be ‘iranisms’ in the true sense (i. e. direct borrowings from one of the attested Iranian languages). Slavonic dialects, being direct continuators of archaic Indo-European dialects , share a considerable part of their word stock with Indo-Iranian. For example, *kotъ `small barn for lambs, goats, chicken coop’ (cp. also Russ. (dial.) кута kuta ‘warm place, hut’) can be easily linked to Vedic कुत kuta ‘house, family’. The word гуня gunja ‘shabby clothes, rags’ does not necessarily have to come from Iranian gaunyā- ‘coloured’ or Avestan gaōna- ‘hair, colour’ via Ossetic ɣun ‘wool’  but could well be an inherited word cognate with Sanskrit गोण goṇa ‘torn or ragged clothes’ and गुण guṇa ‘a single thread or strand of a cord or twine; string or thread, rope’. Most of the presumed ‘iranisms’ can similarly be explained from Indo-Aryan. Taking religious terms, Svarog cannot be an ‘iranism’ because of the Initial /s/, as will be explained below. However, it organically correlates with Vedic स्वर्ग svarga ‘going or leading to or being in light or heaven, heavenly, celestial; heaven, the abode of light and of the gods’. The other ‘classic’ example бог bog‘god’ has a clear relation both to Avestan baga– ‘distributor’ and Vedic भग bhaga ‘gracious lord, patron (lit. ‘dispenser’); good fortune, happiness, welfare, prosperity; the Sun’. After a lengthy and meticulous treatment of this word Trubačev had to admit that “we do not have so far the data for a positive reply to the question whether the Slav. bogъ is a loan from Iranian” . Similarly, the next prominent religious word рай rai ‘paradise’ may also be an ancient inherited word and not an iranism but, if one chooses to treat it as a loan, it may equally be related to Vedic रै rai ‘property, possessions, goods, wealth, riches’ and not necessarily to Avesatan raē- ‘wealth’. Trubačev is also known for the discovery of a residual layer of pra-Indo-Aryan language in the Crimea and along the northern shores of the Black Sea in the area which has been traditionally considered as the domain of Iranian speaking Scythians  . The ethno-linguistic identity of Scythians still remains a controversial issue but it is generally believed that they spoke Eastern-Iranian dialects which presupposes that they arrived to the Pontic-Caspian steppes from the region of today’s Central Asia and Iran. They represented, therefore, a back wave of an earlier eastward migration of pra-Indo-Aryans which probably originated in the Pit-grave culture on the northern shore of the Black Sea, supposedly, around the end of the 3rd and the beginning of the 2nd millennia BC . If so, the language of the bearers of the Pit-Grave culture could well be considered as ‘proto-Indo-Aryan’ or even ‘proto-Sanskrit’ in terms of Vittore Pisani who used ‘proto-Sanskrit’ in the meaning ‘Indo-European’ as he believed that Sanskrit was the immediate continuation of the ‘lingua pilota’ representing the original Indo-European dialects . It is generally accepted that the Pit-Grave culture was an organic Eastern continuation of the earlier Tripolye (Cucuteni) culture (4th millennium BC) and that it did not cease after the hypothetical departure of the proto-Indo-Aryans first to southern Siberia (Andronovo culture?) and then to today’s Iran and Hindustan. Therefore, we can reasonably presuppose that in the Circum-Pontic area there always remained an ethnos directly continuing the ‘proto-Sanskrit’ (non-Iranian) dialects. According to Trubačev, it was represented by the so-called ‘old Scythians’ while the newer returning wave of Iranians constituted the ‘young Scythians’. The earliest attested form of Indo-Iranian, directly related to this ‘proto-Sanskrit’, would be the language of the Vedas which is commonly referred to as ‘Vedic Sanskrit’. The Eastern (Iranian) branch of Indo-Aryan is represented by Avestan. Sanskrit and Avestan are largely inter-comprehensible but have some significant differences in phonetics. At least in the 1st millennium BC the right-bank Ukraine was already a part (periphery) of the Slavonic linguo-enthic space. Since the complexity of the ancient ethno-georgraphy of Scythia is now revealing itself more and more insistently and we are arriving at the constatation of the actual preservation in its part (parts) along with the Iranian (Scythian) also of the Indo-Aryan (pra-Indian) component or its relicts, there arises the rightful question about the reality of also Slavo-Indo-Aryan contacts approximately in the Scythian time . The important implication, directly flowing out of this discovery, is that we should not necessarily seek the origin of presumed iranisms in Slavonic only in Avestan or middle and late Iranian dialects because, at least, some of them may also derive directly from (or continue) the residual proto-Indo-Aryan (proto-Sanskrit) dialects. This effectively means that that the widespread assertions about the specific influence of “Iranians” on Slavonic is greatly exaggerated. It could also testify that the Scythians and Sarmatians with whom the Slavonic peoples were in contact were not as much “Iranian” as it is usually imagined. “B настоящее время отмечается объективная тенденция углубления датировок истории древних индоевропейских диалектов, и это касается славянского как одного из индоевропейских диалектов. Однако вопрос сейчас не в том, что древняя история праславянского может измеряться масштабами II и III тыс. до н.э., a в том, что мы в принципе затрудняемся даже условно датировать “появление” или “выделение” праславянского или праславянских диалектов из индоевропейского именно ввиду собственных непрерывных индоевропейских истоков славянского. [Presently, there is an objective tendency to push back the dating of the history of ancient Indo-European dialects. This also applies to Slavonic as one of the Indo-European dialects. However, the question now is not that the history of Slavonic may be measured by the scale of the II to III millenniums B.C. but that we can hardly date the ‘emergence’ or ‘separation’ of pra-Slavonic or pra-Slavonic dialects from Indo-European dialects because of the proper uninterrupted Indo-European origin of Slavonic].” (Trubačev, O. N. Ėtnogenez i kul’tura drevnejšix slavjan: Lingvističeskie issledovanija [Ethogenesis and culture of most ancient Slavs: Linguistic studies]. Moskva: “Nauka”, 2003, p.25). Vasmer, М. Ėtimologočeskij slovar’ russkogo jazyka [Russian Etymological dictionary]. Moskva: “Progress”, 1964 -1973, vol. 1, pp. 475-476. Trubačev, O. N. Ėtnogenez i kul’tura drevnejšix slavjan: Lingvističeskie issledovanija [Ethogenesis and culture of most ancient Slavs: Linguistic studies]. Moskva: “Nauka”, 2003, pp. 49-51. Russian text: “мы не располагаем пока данными для утвердительного ответа на вопрос, заимствовано ли слав. bogъ из иранского“. Trubačev, O. N. INDOARICA v Severnom Pričernomor’e: Rekonstrukcija reliktov jazyka [INDOARICA in the Northern Circum-Pontic: Reconstruction of linguistic relics]. Москва: Наука, 1999). Pisani, V. “K indo-evropeiskoij probleme [To the problem of Indo-European]”. Voprosy Jazykoznanija, 1966, 4, 3-21. p. 19. Trubačev, O. N. Ėtnogenez i kul’tura drevnejšix slavjan: Lingvističeskie issledovanija [Ethogenesis and culture of most ancient Slavs: Linguistic studies]. Moskva: “Nauka”, 2003, p. 51. Russian text: “Правобережная Украина по крайней мере в I тыс. до нашей эры уже была частью (переферией) праславянского лингвоэтнического пространства. Поскольку сейчас сложность древней этногеографии Скифии вырисовывается все более настойчиво и мы приходим к констатации реального сохранения на части (частях) ее территории наряду с иранским (скифским), индоарийского (праиндийского) ее компонента или его реликтов, встает уместный вопрос о реальности также славяно-индоарийских контактов приблизительно в скифское время. Burrow, T. The Sanskrit Language. Faber & Faber, 1955, p.23. A comparative grammar of the Sanskrit language. Zwracam uwagę, że Pan Constantine Borissoff napisał prosty dowód na wtórne ubezdźwięcznienie pierwotnej postaci Pra-Słowiańskiej PS=PIE, już w 2012r. Nie pamiętam, kiedy o tym przeczytałem, ale ja dostrzegłem TO SAMO WTÓRNE UBEZDŹWIĘCZNIENIE OBECNE,.. ALE W JĘZYKU GRECKIM, a potem także i w innych, w tym i w sanskrycie (np. B>BH), we wszystkich językach tzw. irańskich, w tym we wschodnioirańskich, jak awestyjski i… osetyjski,.. dalej na zachód kolejno w ormiańskim, anatolijskich, (o dziwo nie łacina i niektóre języki celtyckie), ale już częściowo j. germamnskie, w tym j. angielski. Mówię o tzw. rough breathing, czyli PIE S>H>tzw. nieme H>brak dźwięku w tzw. j. greckim (jak zwał), czyli o PIERWSZEŃSTWIE POSTACI DŹWIĘKÓW TZW. SATEM, wobec WTÓRNEGO PÓŹNIEJSZEGO UBEZDŹWIĘCZNIENIA DO POSTACI TZW. CENTUM / KENTUM. Koniec.